From Monday 1st June the limit to the amount an investor can hold in Premium Bonds will increase to £50,000. 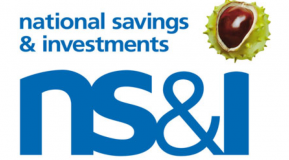 The National Savings & Investment (NS&I) Premium Bonds are backed by the Government and to date, there are currently 21 million savers invested holding around £53 billion in total. The idea of Premium Bonds is not to invest for a guaranteed return but to invest in the hope of winning cash prizes, some as large as £1 million, and all are tax free. The Bonds become eligible for the draw one full calendar month after they are purchased. So if you buy Bonds in June, they’ll be in every draw from August. Each Bond has a a unique Bond number for every £1 invested. Every number has a separate and equal chance each month of winning a prize so the more Bonds you buy, the better your chances of winning! If you win a prize of over £5,000, you’ll be sent a claim form and if you’re lucky enough to win the Jackpot, you’ll be paid a visit by a Premium Bond Representative!